193. Another kind of mangle-wheel with its pinion. 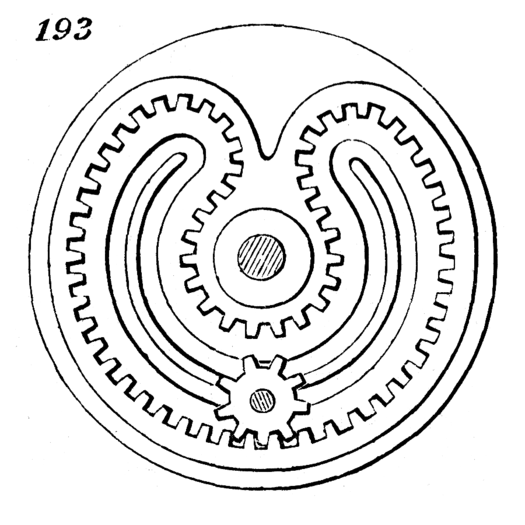 With this as well as with that in the preceding figure, although the pinion continues to revolve in one direction, the mangle-wheel will make almost an entire revolution in one direction and the same in an opposite direction; but the revolution of the wheel in one direction will be slower than that in the other, owing to the greater radius of the outer circle of teeth.